We’re surrounded by some of the most beautiful scenery and attractions that Northern Michigan has to offer. Sleeping Bear Dunes National Lakeshore offers miles of public Lake Michigan beaches and plenty of hiking trails. You can visit the historic Leland Harbor and Fishtown (even take the ferry to South Manitou Island for a day). Winery tours, Interlochen National Music Camp and shopping in Leland, Glen Arbor and Northport are just a few of the opportunities available! Some of the finest fishing in the region can be found here. 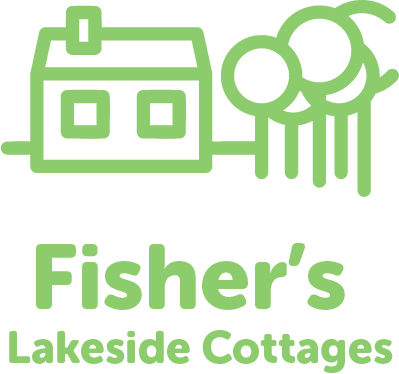 Fisher’s Cottages situated on the shore of Lime Lake is noted for its brown trout and small mouth bass. There are also pike, perch and abundant panfish. Lake Michigan, Glen Lake and Lake Leelanau and noted rivers like the Betsie, Platte and Crystal are only minutes away – a true fisherman’s dream! Leelanau County is a recreation destination know for: it’s orchards & vineyards, Wine tasting & tours, boating & beaches, Morel mushrooms & forest foraging, Small coastal towns offering specialty shops and a variety of dining, farmer’s markets, hiking, biking, road tours, the Heritage Trail, the Sleeping Bear Dunes, Fall color tours, hunting & fishing, Winter snowshoeing and cross-country skiing. Mark & Peter Fisher | Shopping for Real Estate? Mark & Peter can help you discover the area. Jackson Station Livestock Co | Offering locally raised, all natural, non-GMO meat. They will deliver orders to you while you’re on vacation! Sleeping Bear Heritage Trail | We’re close to accessing this year-round, maintained trail through the national lakeshore. Multiple sections and distances to enjoy for all ages and experience levels. Non-Motorized, open to Bike, Walk, xCounty Ski and Snowshoe! Glen Arbor Rentals | Can’t find what you’re looking for in a rental? Check here.